In every age the great spiritual teachers have established their communities – Gautama Buddha and his sangha, Jesus and his disciples, Saint Francis and his brothers. In this age, Mark and Elizabeth Clare Prophet have established a spiritual community that has grown from humble beginnings in 1958 to a worldwide community. There their students gather to study and practice the teachings of the ascended masters and enjoy the fellowship of like-minded souls. People of all ages, walks of life, nationalities and backgrounds are welcomed. These Summit Lighthouse communities are havens of light in the cities around the world and at the Inner Retreat in Montana. We invite you to visit a community near you or come to the Inner Retreat for one of our quarterly retreats and annual Summit University seminar. Summit University offers weekend and week-long seminars and spiritual retreats on a variety of spiritual subjects, including: karma and reincarnation; twin flames and soulmates; Saint Germain, spiritual alchemy and the violet flame; and healing for body, mind and soul. Through the teachings of the ascended masters, including the sacred scriptures of East and West, students at Summit University pursue the disciplines on the path of the ascension for the soul's ultimate reunion with the Spirit of the living God. SU offers courses online, across the United States as well as internationally. Join our Facebook community. Members comment and post on TSL events. We welcome you to write or call us for further information about the activities of students of the ascended masters in your area. And we look forward to meeting you! The Keepers of the Flame Fraternity is a worthy body of men and women dedicated to self-improvement and the upliftment of humanity. 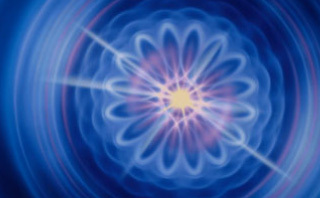 Spiritual seekers who desire to keep the flame of life on behalf of mankind can join this nondenominational fraternity and receive thirty-three monthly lessons that provide graded instruction in cosmic law. When you join this fraternity, Saint Germain sponsors your path of spiritual initiation and promises to assist you heart to heart in your homeward journey. Summit Lighthouse conferences and retreats are for spiritual seekers who gather to study the Teachings of the Ascended Masters, use the science of the Spoken Word to help mitigate world conditions, and listen to audio and video recorded dictations. Quarterly retreats are centered around the holidays of New Year’s, Easter and Columbus Day. Our July 4th conference includes children, teen and young adult retreats as well. All are held at our international headquarters in Corwin Springs, Montana and streamed online. Workshops and introductory programs complement the main events. Most of the program is simultaneously translated into several languages (usually Spanish, Portuguese and Russian). 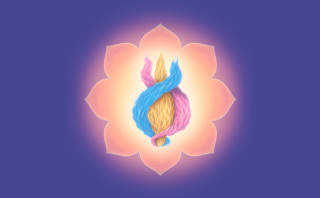 Welcome to our online newsletter – El Morya’s Garden Celebrating the Sangha and the Can-Do Spirit! (formerly Opportunities Mandala newsletter). While you will see it's fresh new online format, click on the story links to find the same informative articles and reports about the activities of your brothers and sisters around the block…and around the world! Every month new stories are added – see what some of El Morya's chelas are doing this month. Experience the fun and faith and love in these stories from teaching centers and study groups around the world, the ashram in India, personal stories of how chelas found the Teachings, and reports from chelas like you! I would love to share news about your events, your projects and your victories! Please write Mariana Mendoza at moryana0144@gmail.com. Knights and Ladies of the Flame (KLF) is an international community of young adults, ages 18-36, associated with the Summit Lighthouse® and Church Universal and Triumphant®. We are committed to providing a community that helps young people realize and fulfill their potential to expand the Light of God within them. Through our dedication to service and spiritual development, we strive to make a difference wherever our paths take us. 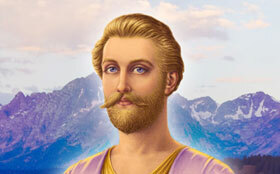 Together we study the teachings of the Ascended Masters as delivered by Mark and Elizabeth Clare Prophet and explore ways in which to apply them practically in our daily lives. We meet virtually throughout the year to pursue specific goals, conduct prayer vigils and prepare for our bi-annual retreats. We currently support members in over fifteen countries worldwide, with established groups in the USA, Africa, Russia, Colombia, Brazil, Mexico and Australia. We welcome all seekers to join us and share their passion for spiritual bonding in friendship and service with the teachings of the Ascended Masters. To learn more about the KLF including how to get involved, please send an email to CommunityKLF@gmail.com and we would be happy to be in touch! 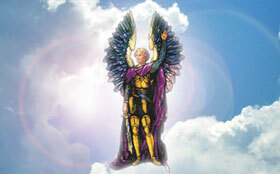 Flexible groups allow people of like mind to easily gather to practice and learn the teachings of the ascended masters. Enjoy a level of affiliation with, benefit, and support from The Summit Lighthouse. Flexible groups serve as a beginning step in forming a spiritual community where you are with the resources you have. Meeting place: Physical location or virtual meetings or combination of both. Examples: Member’s home, public gathering place, coffee shop, or teleconference calls, SKYPE, GoToMeeting or other similar options. Frequency of meeting: The group members meet a minimum of once per month, or more frequently based on the unique needs and wishes of the participants. Agree to the time-tested policies and procedures to help your group run smoothly. Possible forms of study may include reading and discussing: Pearls of Wisdom®, Pocket Guides, KOF Lessons, The Sacred Adventure Series, or other books specifically focused on the teachings of the ascended masters as delivered by our messengers Mark and Elizabeth Clare Prophet. Worship may include: a Sunday service, a decree service, rosaries, or any combination of prayers, fiats, or decrees. Fellowship may include activities designed to facilitate bonding among the group members. Meetings may begin with ice-breakers and end with refreshments, or groups may choose to celebrate special occasions or holy days. As study groups expand, they can add activities like a community service project. Serving at a soup kitchen, or an inter-generational activity like planting a garden are just a few ways to be love in action. Another avenue of expansion is to engage in outreach events to share the teachings with others. Groups select at a minimum either study, worship, or both to begin their group. If they are meeting at a physical location, it will strengthen the budding community by pairing fellowship with worship or study. The optional activities can be added at any time as the group so chooses and as the group develops. You are not alone in your endeavor! To help you succeed and enjoy the experience, each flexible group can be assigned a mentor at your request. A flexible study group is a way to form a spiritual community with fewer requirements than those of a chartered study group. As it grows and matures, it may eventually lead to your group having enough souls and resources to apply for chartered study group status, however that is not necessarily the main reason for forming your group. If you’re interested learning more about, joining, or starting a flexible group in your area, please contact The Summit Lighthouse at Flexible Groups information, or 406-848-9500.